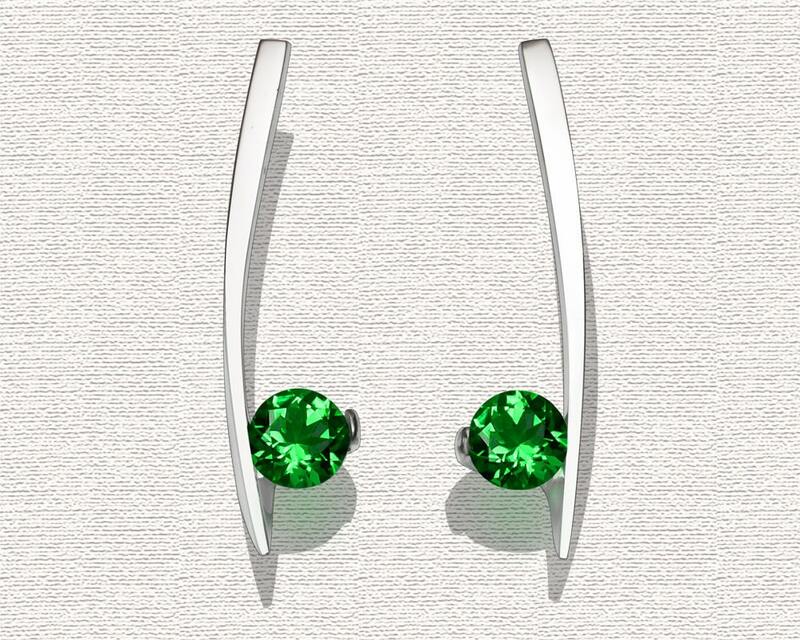 A simple, delicate argentium silver design, these earrings were designed to complement the #3458 pendant. 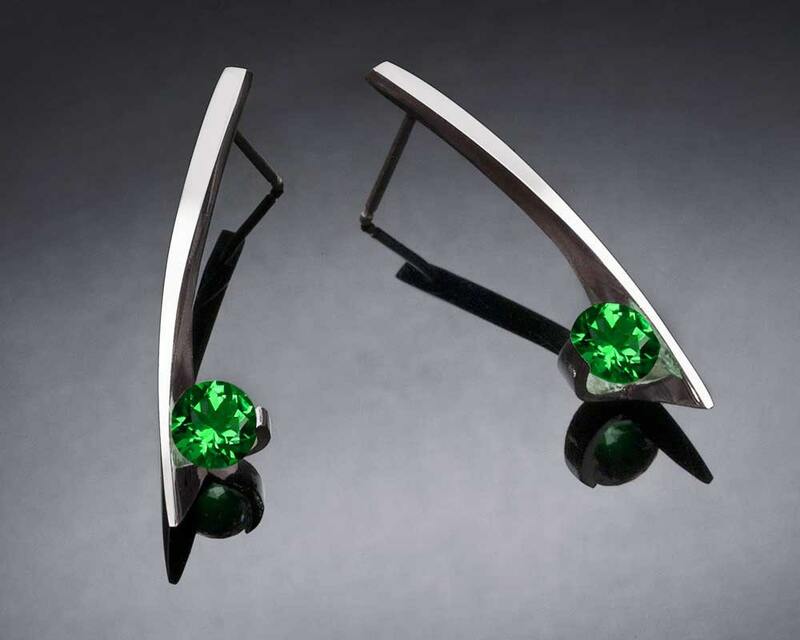 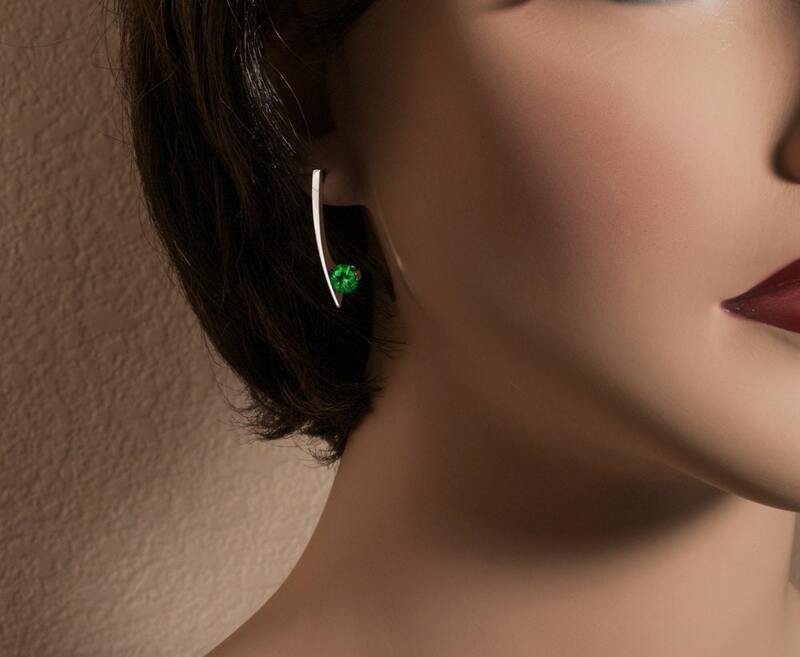 Each earring measures 27mm x 7mm, or 1 1/16 x 1/4 inches, and holds a 6 mm Green Topaz. 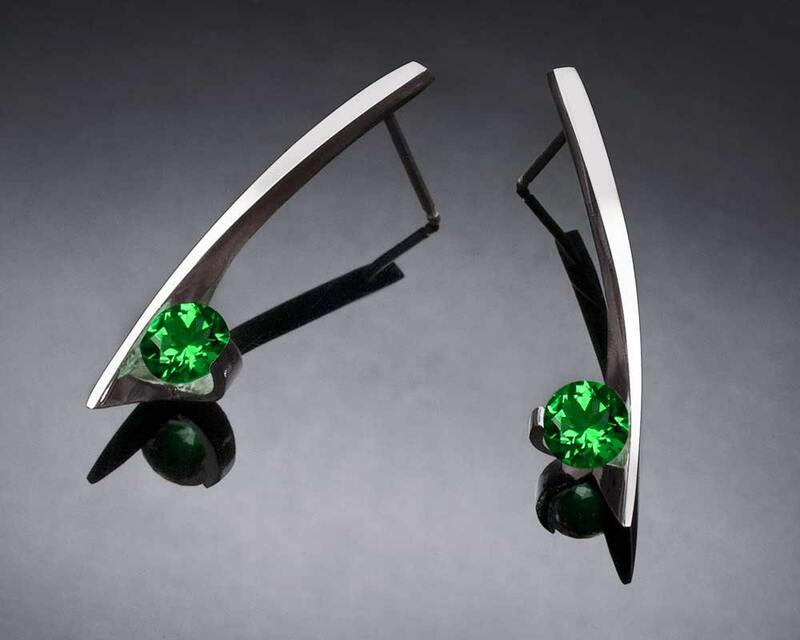 These are stunning and just the right length for everyday chic but edgy look.